For those of us who venture forth into the past from our humble modern beginnings are forever tasked with hiding the common place items we use in modern life. Things like cell phones, keys, ID, cash and credit cards among numerous others. Now certainly we have the option of a purse. Reticules were very popular in the Regency Era and after. Pouches hanging from belts can also work. Which is all fine and dandy but I have tried both, and find neither to my liking. Which brings us to an Eighteenth Century necessity, the pocket. These clever little pockets are on a tape and tie around one's waist beneath one's skirts. They vary in size and can hold quite a lot of things. Perfect to hide away the cell phone and other 21st century necessities. Now what follows is my opinon, just me theorizing. So don't jump down my throat. I have little to back up my thoughts besides theory. 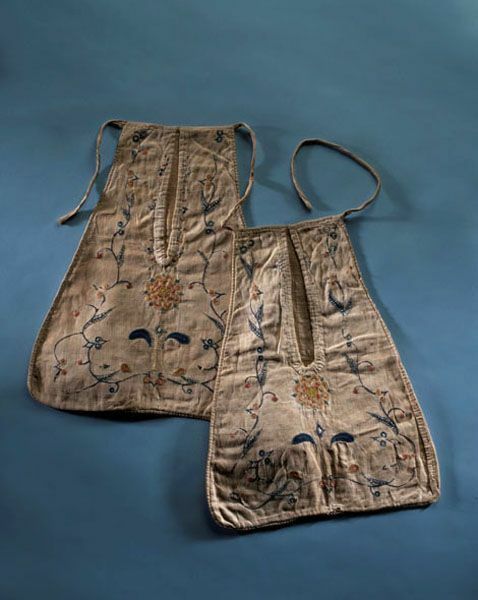 Pockets to me are one of the most useful pieces of historical fashion. I have worn them under dresses dating from the Tudor era all the way up to the 1860s (exception being the Regency). They hide out easily under the layers of skirts and skirt supports. As far as I know there is no evidence to back this, but I don't think something this useful just suddenly appeared in the 1700s. Although I believe the idea of a pouch on a belt under one's outer skirt is mentioned in The Tudor Tailor. If my theory is true, which greater minds then mine may already know, the question ranks what happened to all the pockets? The same thing that happened to all the other extant clothes. Only the fancy pockets survive. But if the majority of the world worked and used pockets, I think the pockets would have been plain, and used until they could no longer be repaired. So that's my theory, if anyone asks. I have had a pair of plain machine sewn white pockets for ages. They were of a heavier fabric, maybe a cotton, maybe a blend with bright teal bias tape to finish the slits. I do know there is a picture of them, I don't know where it is. Unfortunately, my pockets became a victim of the ferious black cat. (He's really not that ferious, rather adorable) They were scratched up and taken to parts unknown. Therefore I now need new pockets. Which I will show you how to make in my next post!